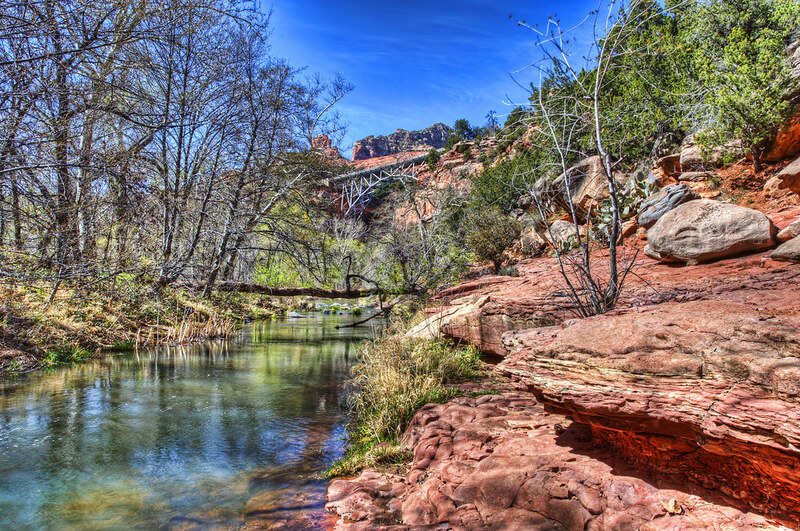 This entry was posted in Equipment, Shooting and tagged Arizona, AZ, camera, D700, HDR, Midgley Bridge, Nikon, Oak Creek, Paint Shop Pro, Photomatix, Sedona, software, tripod. Bookmark the permalink. Nice HDR, Zann. That 14-24 2.8 must be awesome. I was just down there a few weeks ago. Definitely a climb but worth it. Great shot! That is a very nice perspective on this image and well processed. Personally, I never travel without my camera, tripod and laptop for processing. Have a great trip!